From The River of Heaven is a broad compendium of wisdom and insight that reaches into all aspects of life and all domains of human culture. 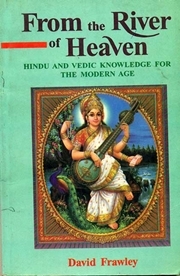 It covers such diverse topics as the different systems of Yoga, the scriptures of India, the universal meaning of Hinduism, Philosophies, both Hindu and Buddhist, Yogic Cosmology, the Gods and Goddesses, Sanskrit and Mantra, the Vedic view of society, the science of Karma and Rebirth, the inner meaning of Rituals, Ayurveda (ancient Indian medicine) and Hindu Astrology (Jyotish). From the River of Heaven may be the most accessible and relevant overview of the spiritual tradition of India and its clearest presentation to the modern mind. Vedic knowledge is the ancient and universal root, not only of Hinduism, but of many of the world's religions and mystical traditions. David Frawley is one of the few westerners respected in India for his broad knowledge of the Vedic and Hindu spiritual tradition. He is regarded as a Vedacharya or teacher of the ancient wisdom. He is acknowledged as an ayurvedic hearler, Vedic Astrologer, teacher of yoga and meditation and a Sanskrit scholars. His views are not academic, but the expression of living experience and creative adaptation. He demonstrates a direct connection with the teaching and renders it clearly into modern and universal. This book manages to convey both the factual and spiritual essence of most of vedic culture. Remarkably for a short book with short chapters, every time you come back to it there is a new understanding or insight to be gained. Especially useful is Frawley's insight into the use and meaning of the 'caste' system which often causes misunderstanding amongst Westerners. He also manages to explain Vedic culture in a way which is immediately valuable to the modern mind - it never feels like you are reading something that is lost in the past or out of date. A very valuable addition to your library. This is one of David Frawleys finest and most complete expositions of Veda dharma. It covers many aspects of Vedic culture, weaving it all together and his profound insights and experience into Ayrurveda, Jyotish and Vedanata are all presented in a lovely book that I read and reread. It is clear and beautifully written and shares with us (and the world) the marvellous depth of wisdom in *every* aspect of life that is sourced in the Vedic wisdom. Thank you Dr. Frawley for writting such a fine and magnificent book! 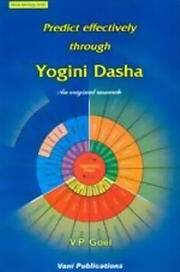 Anyone interested in the ancient roots of humanity and understanding the various Vedic sciences such as Ayurveda, Jyotish and Yoga should read his book. This is one of David Frawleys finest and most complete expos ..